All our products are authentically made in Italy, with Italian ingredients. They are passionately crafted by Italian family companies with generations of expertise. 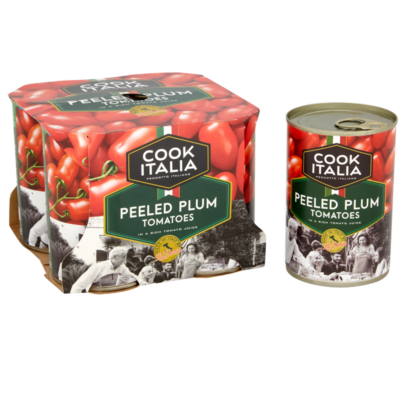 With true Italian flavour, choose Cook Italia when you cook Italian! 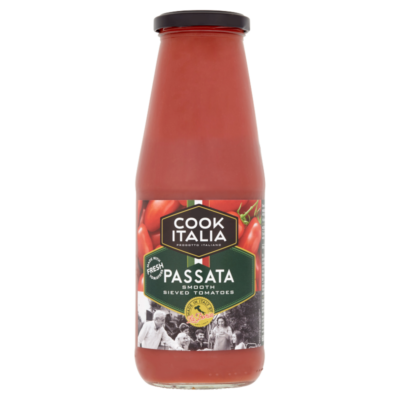 Grown on southern Italy’s fertile plains and vine-ripened to perfection under the hot Mediterranean sun, Cook Italia’s tomatoes give the true taste of Italy in a range to suit every recipe. Using only genuine medium-fat Italian grated hard cheese, this adds a finishing flourish to a host of Italian dishes. Don’t be fooled by its pack: it’s not the nasty, smelly cheese of the 70s! Ours is authentically Italian and tastes great. Keep it with your salt and pepper pots and remember to sprinkle it over pasta, bakes, soups and meat dishes whenever you … Cook Italia!